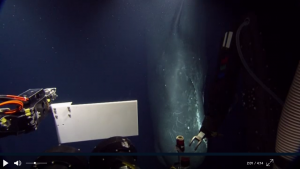 This is a pretty amazing video of the sperm whale checking out a deep sea robotic sub. What is more impressive is the how the team of Super Nerds in the control room react when they first realize what it is. Source National Geographic Rare Video Captures Sperm Whale in Deep Sea.